In 1959 Veloce introduced the Vee Line model to supplement the Valiant. This was essentially a Valiant with a dolphin fairing. This was a fibreglass moulding with bonded in facia panel and glove box. It was of a good size so gave protection to the hands and the legshields went outside the cylinder heads with apertures for the cooling air to enter. A wide windscreen was fixed to the top of the fairing and behind it the facia was taken back to mask the handlebar fixings. It carried the speedometer, ammeter and switch and below it was the glove box. The headlamp remained in its shell which was mounted on brackets bonded into the fairing so it retained a vertical adjustment although it no longer turned with the forks. 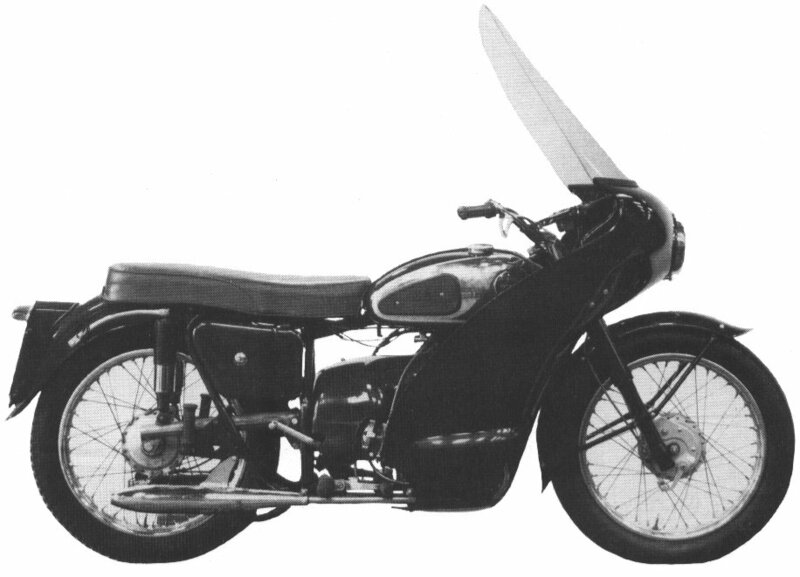 The fairing was attached to the machine at eight points and added 21lbs. to its weight and £21 to the price! For that the owner received the chrome-plated petrol tank panels as standard. The Vee Line model was dropped from the list for 1961.